‘Civil Service Engane Malayalathil Ezhutham’ is a great self help book for IAS aspirants written by Jyothis Mohan. 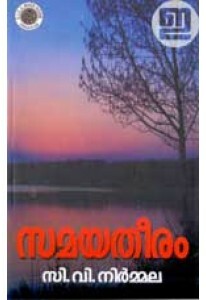 This edition has essays including Innathe Civil Servant, Keralathinte Career Ghatana, Civil Service Malayalathil Enthukondayikooda, Main Pareeksha Aichika Vishayangal, Mathruka Chodyapaper etc. Jyothis Mohan, who bagged 358th rank in civil service exam, also shares his personal expreince and tips for IAS aspirants.